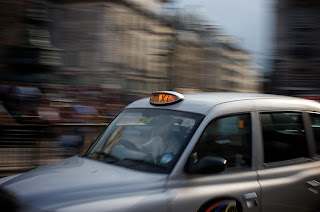 I used to live in London, so really didn't do the "tourist" thing on my free Saturday. Actually to be perfectly honest, I slept 'till noon, did some email then slept again 'till 2:30. It felt good to finally catch up on my sleep though! So just for giggles, here's two photos from the short time I did get out that Saturday before dinner. 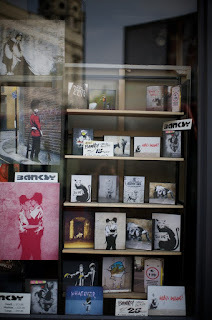 Cute store selling Banksy images. Too bad they weren't open.